Pickup trucks are the backbone of the global economy, especially for small and medium-size businesses. They would be lost without this practical and usable way of transport. And it has been this way for almost 100 years. In fact, pickups are the only car class that has endured a century of production with little change from the original concept. Through the years, pickup trucks have become larger and more powerful. They can now carry and tow more than ever. But, the basic concept, technical layout and design have remained the same. In fact, pickups are one of the most important car classes in the global marketplace. Over the years, the pickup truck segment has developed in numerous ways from rugged, basic models to luxury models with equipment like those upscale limousines. They come in off-road models and compact trucks, as well as lifestyle pickups and basic workhorse models. In fact, there’s a pickup truck for just about every purpose now. Have you ever wondered about where and when pickup trucks started and which was the first? 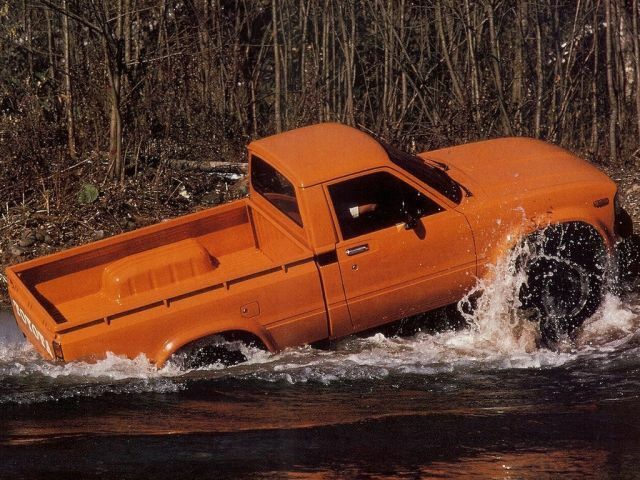 If you said yes, keep reading because here are the most revolutionary pickup trucks, as well as the history of this vehicle class. Everybody knows about the Model T, a car that singlehandedly changed the industry and introduced new ways of automobile production. This iconic vehicle established the Ford Motor Company as an industry leader for many years to come. Ford produced over 15 million Model Ts. In fact, this car was the record holder for almost 50 years until the VW Beetle passed it. It was an iconic model in every aspect that put America and the world on wheels and started the era of motorization. So, it is only natural that the Model T had a big influence on the pickup class. As soon as Ford introduced it, independent body shops started chopping regular models and turning them into trucks. It took Ford several years to understand why they needed to include a pickup version in their lineup. They eventually introduced the first factory pickup in 1925. They called it the Model T Runabout with Pick Up Body. It was just one of 15 body styles Ford offered for the Model T, but one of the most important models, too. Sales proved that the pickup was in high demand. Even though it didn`t have much towing capacity or payload, it was a practical and dependable vehicle. Even after they discontinued the Model T in 1927, the pickup version stayed in production for a little longer. And it influenced many other brands to present similar vehicles. Today, Ford is the biggest pickup truck manufacturer in the world, and it is all thanks to this small truck with a 20 HP engine and big ambitions.